I was sitting in the kitchen of our house in Briarcliff Manor yesterday when I noticed a number of ladybugs. 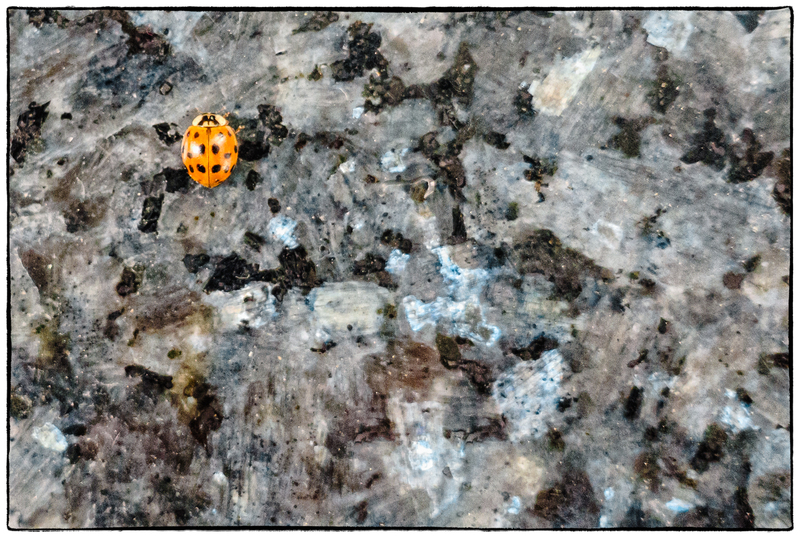 Many of them had gone to that great ladybug home in the sky, but a couple of them were still ambling around. The one above was walking along our counter top. The one below was climbing up our electric kettle. Unfortunately I was using it to make my ‘nice cup of tea’ as the British almost invariably say it (I’ve never heard anyone say ‘how about a truly horrible cup of tea?’ although such a statement would have been true in the case of tea made by my father – it really was the worst I’ve ever tasted). I guess as the kettle warmed up the ladybug began to feel uncomfortable as he/she/it flew of to a window sill. Apparently the name is incorrect though. 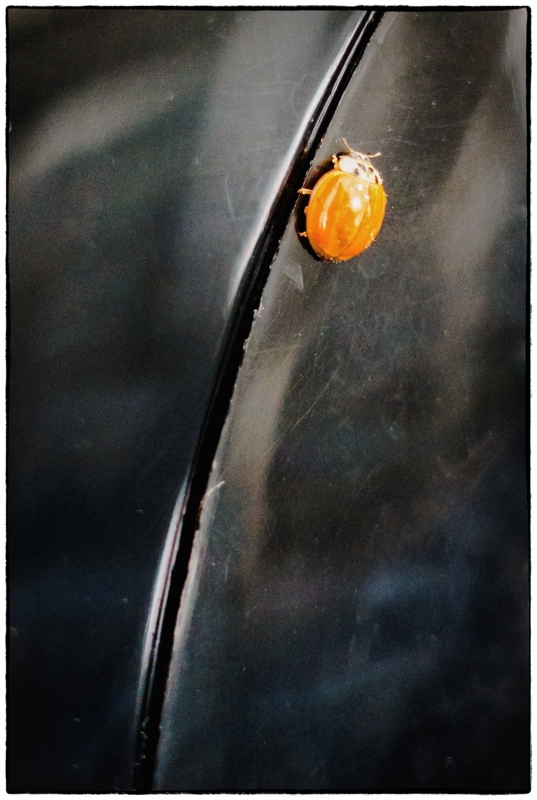 According to wikipedia: “Coccinellids are known as ladybugs in North America, and ladybirds in other areas (Note: that’s what we call them in the UK). Entomologists widely prefer the names ladybird beetles or lady beetles as these insects are not classified as true bugs.” There’s a common myth (apparently untrue) that the number of spots indicates the ladybug’s age. If it were true then the one in the bottom picture would be in trouble as it doesn’t seem to have any spots at all. Although they look very cute they’re said to be voracious aphid and scale insect eaters, primarily carnivorous but also known to eat honeydew, pollen, plant sap, nectar, and various fungi.